nj arts maven: “Annie” Auditions continue this week with auditions for ﻿ADULTS and TEENS! “Annie” Auditions continue this week with auditions for ﻿ADULTS and TEENS! WHEN: Thursday, January 17 (7:00-9:00); Friday, January 18 (7:00-9:00).Additional auditions for youth performers (ages 5-13) will be held from 6:00-7:00 each night. Callbacks will be held on Saturday, January 19 (by invitation). 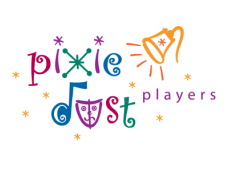 While in person auditions are ideal and encouraged, video submissions sent to info@pixiedustplayers.org will be accepted for those who cannot attend on the listed dates. With equal measures of pluck and positivity, little orphan Annie charms everyone's hearts despite a next-to-nothing start in 1930s New York City. She is determined to find the parents who abandoned her years ago on the doorstep of a New York City Orphanage that is run by the cruel, embittered Miss Hannigan. With the help of the other girls in the Orphanage, Annie escapes to the wondrous world of NYC. In adventure after fun-filled adventure, Annie foils Miss Hannigan's evil machinations...and even befriends President Franklin Delano Roosevelt! She finds a new home and family in billionaire, Oliver Warbucks, his personal secretary, Grace Farrell, and a lovable mutt named Sandy. We will rehearse SOME Tuesdays, Thursdays, Fridays, Saturdays and a couple of Sundays beginning January 24. During the week, rehearsals will be scheduled between 6:00-10:00. Saturday rehearsals may be scheduled anytime between 10:00-6:00. Sunday rehearsals may be scheduled anytime between 1:00-9:00. Prior to tech, performers will be called roughly 2-3 days per week (sometimes less). Rehearsal conflicts will be accepted prior to casting. The schedule will be determined based on cast availability. Rehearsals and performances March 10-24 are mandatory. Not all roles will be called for every rehearsal and not everyone will be called for the entire duration each day. Schedules will be based on rehearsal needs and cast availability. Cast members will only be called for rehearsal when their scenes/songs are being rehearsed. Some roles may be double cast. Circle Players Presents "After the Revolution"
Join Rutherfurd Hall for a Night at the Races! TICKETS ON SALE @ NJPAC! Education Open House For The Rising Star Academy! STNJ ANNOUNCES 2019 SEASON: SUBSCRIBE TODAY! Building Montclair in Lego @ MAM is filling up!